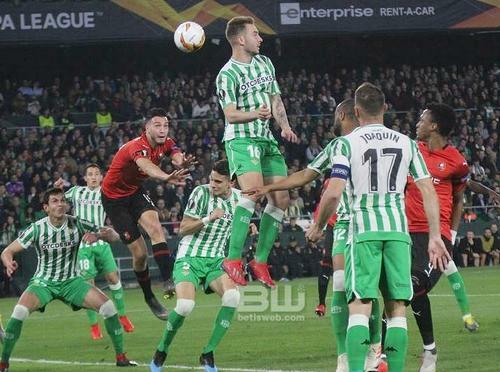 SEVILLE, Spain, March 20, 2019 (ENS) – In an unprecedented move for a La Liga soccer club, Sevilla-based Real Betis Balompié has officially joined the Climate Neutral Now initiative of UN Climate Change. The club will take action to reduce its greenhouse gas emissions and to compensate for the remaining emissions. Real Betis is one of the top teams in La Liga, the highest ranking professional football division of the Spanish football league system. Simultaneously playing in the national championship, the Europa League and the Copa del Rey, the club has big sports goals, and its ambition extends to the environmental and climate fields. By measuring, reducing, and compensating for its emissions, Betis will become the first top-tier team to achieve a climate-neutral status to help avoid the worst effects of climate change, including ever more severe storms, droughts, heatwaves and flooding. The community-based club is made up of more than 14,000 owners where the majority of the voting rights belong to individuals from the local community. “Since the beginning, Real Betis Balompié has been about its family, its members and fans. 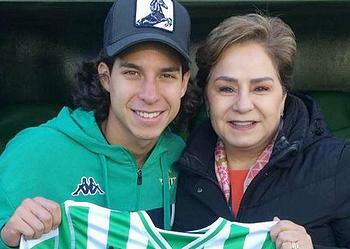 We strive to ensure that they feel Betis represents them and supports them, just as much as they support us,” said Real Betis President Ángel Haro. “Taking action on climate is also about them, it’s about our family. We understand that climate change is a threat to the livelihoods and the wellbeing of everyone on the planet, and we are doing our part,” Haro said. The new sports city being built by Real Betis will feature renewable energy generation on site, advanced waste collection and treatment systems, many trees, and efficient energy applications. In addition to this, the club is installing smart illumination systems in its stadium, Benito Villamarín in Seville, and taking measures to reduce single-use plastic, among other environmentally conscious activities. Real Betis has committed to becoming a platform and a facilitator for raising awareness about the urgency of climate action among its millions of fans worldwide. Climate Neutral Now was launched by the UN Climate Change agency in 2015, aiming at encouraging and supporting all levels of society to take action to achieve a climate neutral world by mid-century, as enshrined in the Paris Climate Agreement also adopted in 2015. To avoid the worst effects of climate change, science tells us that we must limit global temperature rise to less than two degrees Celsius, the central goal of the Paris Agreement. To achieve this, relying solely on governmental action will not be enough. The initiative invites companies, organizations, governments and individuals to work towards climate neutrality by reducing their climate footprint with a simple three-step method. They will measure their greenhouse gas emissions, reduce them as much as possible, and offset those which cannot be avoided by using UN certified emission reductions. Climate Neutral Now also plays its part in support to the UN Sustainable Development Goals, not only because it helps to implement the Paris Agreement, but also because it fosters financial investments in climate-friendly projects which contribute to changing and improving lives.